Denver Public Health is looking to hire 10-12 youth in Denver to help inform our youth substance abuse prevention work. These are part-time positions that will work a few hours a month between October 2017and June 2018. We are specifically looking for youth who live in/are from Southwest Denver neighborhoods OR identify as part of the LGBTQ+ community. If you have questions about the work, duties, the time commitment or your eligibility please contact Kristen Ross, Communities That Care Facilitator, at 303-602-5749 or Kristen.Ross@dhha.org. Metro Public Health Behavioral Health Collaboration (MPHBHC) has launched a new campaign in English and Spanish to help eliminate the stigma associated with seeking treatment for mental illness. “Let’s Talk Colorado/Hablemos Colorado” is funded by a State Innovation Model grant from the Center for Medicare and Medicaid Innovation. The purpose of the funding is to improve the health of Coloradans by providing access to physical and behavioral health care. The goal of the “Let’s Talk Colorado/Hablemos Colorado” media campaign is to reduce the stigma around mental illness so people who need treatment are more likely to seek it. The campaign will be featured on billboards, bus shelters, in local community newspapers, and on Pandora from August through October. For more information about “Let’s Talk Colorado/Hablemos Colorado,” including a downloadable toolkit and other resources, visit www.letstalkco.org. MPHBHC is grateful to our Project Partners, who all contributed greatly to the development of the campaign, and to our hospital partners for their financial contribution. Enjoy a night of live auctioning, gaming, dancing, drinking and a selection of awesome food truck catering from Stanley Marketplace Vendors that will benefit Families Forward Resource Center and provide program support through 2018. Without your help, FFRC would not be able to provide program support and work efficiently toward our mission to enrich families. The Centers for Disease Control and Prevention (CDC) released Using Essential Elements to Select, Adapt, and Evaluate Violence Prevention Approaches to help state and local partners with the implementation of evidence-based prevention approaches. Because each setting for violence prevention strategies is unique, practitioners must make decisions about how to balance delivering prevention approaches as intended with the reality of their local context. The Division of Violence Prevention developed this guidance document to support a step of the implementation process. To learn more, join CDC and PreventConnect for a web conference Monday, August 28 at 12pm MST. For more information and to register, click here. Bring the whole family for a day of FREE fun and activities at the Breastival on Sunday, August 20, from 11 a.m. to 3 p.m. at Cheesman Park in Denver! The Colorado Breastfeeding Coalition hosts the Breastival each year as a free event to connect families to community goods and services and help support, normalize and celebrate breastfeeding. This year's event features over 30 vendors, food trucks, face painting, bounce house, balloon animals and numerous activities, including music classes, yoga, story time, infant sign language, baby wearing dance class, chair massage, etc. For prizes, register before the event here. Mothers’ Milk Bank is kicking off the day’s events with a Stroller Push. Prizes will be awarded to the best decorated stroller - sign up here. Plan to bring your families and please invite friends, coworkers, patients, clients, neighbors and others. Feel free to share the event Facebook page. Upcoming Marijuana and Public Health Regional Workshops in Fountain, Colorado hosted by the Colorado Department of Public Health & Environment and El Paso County Public Health Department. Workshops cover the latest literature findings on health effects, state data on marijuana use and health effects, efforts to prevent youth marijuana use, plus resources and tools for you to educate your community about safe, legal and responsible marijuana use. Both workshops are free to attend and allow opportunities to network with partners in your area. "Maximizing Impact: Implementing Medicaid-Reimbursed EBPs in Child Welfare"
In a climate of increasing need and tightened budgets, child welfare agencies are constantly looking for ways to ensure not only access to services for children and families, but also their effectiveness and sustainability. This webinar will discuss how Medicaid-reimbursed Evidence Based Practices (EBPs) offer some solutions for the child welfare population, and explore how public child welfare agencies, advocates, and providers can collaborate with their Medicaid agencies to explore adding EBPs to their service arrays. Morgan Cole from the Annie E. Casey’s Child Welfare Strategy Group will provide insights into the process and considerations child welfare agencies should expect in pursuing Medicaid reimbursement for new evidence-based services, while Shannon Fagan and Ebonnie Simmons-Vazquez from Pennsylvania’s Department of Human Services will walk through their successes in doing so in Pennsylvania. Morgan Cole is a consultant for the Child Welfare Strategy Group at Annie E. Casey Foundation. Shannon Fagon is the Director of the Bureau of Children’s Behavioral Health Services, Office of Mental Health and Substance Abuse Services under the Department of Human Services of Pennsylvania. Ebonnie Simmons-Vazquez is a Program Manager for the Pennsylvania Department of Human Services. A new resource was just released by the CDC called the "Guide for Measuring Alcohol Outlet Density." The Regulation of Alcohol Outlet Density is an evidence-based strategy through The Community Guide to decrease excessive alcohol consumption. If local data shows that excessive drinking is a problem in your community, you may want to consider measuring alcohol outlet density. For more CDC alcohol resources on research in action, visit this website. Have questions about this evidence-based strategy or need measurement support? Contact Colorado Department of Public Health & Environment's Alcohol Epidemiologist, Kacy Crawford at kacy.crawford@state.co.us. 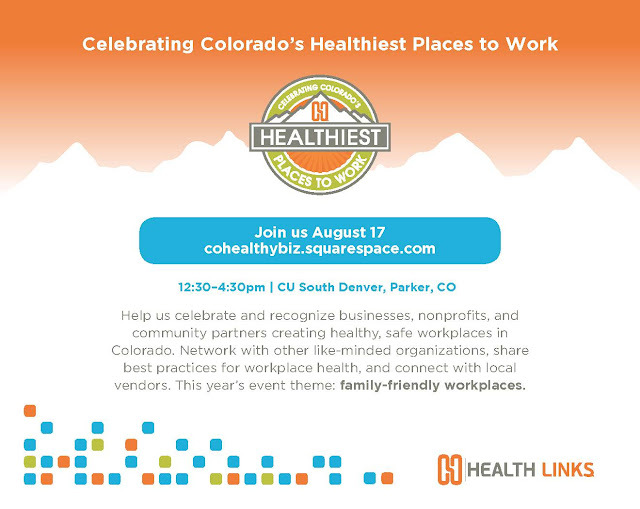 The Children, Youth and Families Branch of the Prevention Services Division at the Colorado Department of Public Health and Environment is seeking someone dynamic, team-oriented and passionate about equity! The Branch is looking for someone who can challenge our existing processes while generating motivation and excitement for change through the use of strong emotional intelligence, training and consultation skills, and lived experiences in being a part of and representing communities most impacted by our policies, practices and programs. Please share this exciting opportunity widely! Due largely to an increase in public fire education and prevention efforts, including the use of smoke alarms and sprinkler systems, fewer children die in fires today compared to 10 years ago. (1,2) Among children and youth ages 0 – 24, those ages 1 – 4 are at highest risk of fire and burn- related injury and death. (2,3) With National Fire Prevention Week coming up on October 8 – 14, 2017, this webinar provides information about strategies to further reduce fire and burn-related injuries among children. Marty Ahrens of the National Fire Protection Association (NFPA) will review the fire injury problem among children and progress made in this area. Regional NFPA specialist, Meredith Hawes, will provide an overview of materials and resources that are offered through NFPA to target these particular risks. Ernest Grant of the University of North Carolina (UNC) Hospitals in Chapel Hill will discuss prevention campaigns, fact sheets, tools and resources that will be beneficial for teachers, parents, and others interested in fire and life safety. Is your community and/or school district working to get more students walking and bicycling to and from school? The Colorado Department of Transportation announces a call for projects for Fiscal Year 2017-18 Safe Routes to School (CSRTS) Infrastructure and Non-Infrastructure Projects. The guidelines and applications are posted on the CDOT website. The goal of CSRTS is to help schools, school districts and local communities enable and encourage more children Kindergarten through 8th grade to safely bicycle and walk to and from school. Safe Routes to School programs are sustained efforts by parents; school staff and administrators; representatives from law enforcement, public health and advocacy; community leaders and local, state, and federal governments to improve the health and well-being of children by enabling and encouraging them to walk and bicycle to school. To provide guidance on completing the application and understanding the requirements of a CDOT grant, the Colorado SRTS program manager will be hosting applicant training sessions at various locations throughout the state in August and September. Currently sessions are scheduled for Friday, August 25 from 1-3 pm and Wednesday, September 6 from 1-3 pm. Attendance is via webinar with some in-person space available. For more information or to register, email leslie.feuerborn@state.co.us. Additional sessions will be scheduled and information will be posted on the website. Funds are awarded through a statewide competitive process and chosen by an appointed advisory committee. Up to $2M is available for infrastructure projects and $0.5M for non-infrastructure (education and encouragement) projects. Funding details are included in the application guidelines. Minimum funding level for Infrastructure projects is $50,000 and $350,000 will be the highest amount awarded to a single project. An education component is required with infrastructure projects. Non-infrastructure projects have a $5,000 minimum but no maximum limit. These reimbursement grants will be awarded statewide. Project selection will give consideration to schools with greater than 50% of students eligible for free- or reduced-lunch. Applications are due to CDOT-SRTS by 4:00 p.m. Wednesday, November 1, 2017. Both Word and PDF versions of the application are available on the website. NEW THIS YEAR – applications can be submitted electronically. For more information, contact Leslie Feuerborn, Colorado SRTS Program Manager at 303.757.9088 or leslie.feuerborn@state.co.us. World Breastfeeding Week is an annual celebration of breastfeeding. The awareness campaign encourages families and community partners to support breastfeeding to improve the health of mothers and babies. Breastfeeding is an evidence-based approach to reduce chronic disease and prevent childhood obesity, and is a protective factor against sudden unexpected infant death (SUID) also known as sleep-related infant death. The Colorado WIC Program’s theme for World Breastfeeding Week, traditionally held Aug. 1 through 7, and throughout the month of August is Find Your Village. The theme focuses on the important role each of us plays in creating a village of support around mothers, caregivers and families to ensure every family can meet their breastfeeding goals. This theme is an alternative to the 2017 World Alliance for Breastfeeding Action’s (WABA) theme of Sustaining Breastfeeding Together. Click here for the 2017 Action Packet that contains ideas, graphics and handouts to use and share throughout your community. Visit www.breastfeedcolorado.com for more resources and information. The National Association of Community Health Centers provides free information about PRAPARE including the assessment tool, an implementation toolkit, applications for the upcoming PRAPARE Train-the-Trainer Academy, recorded webinars on PRAPARE and an FAQ. Visit the PRAPARE website for more information. In today's open data culture, we have the ability to use data to tell stories, collaborate across organizations and make data-informed decisions that have the power to improve the lives of others. The Piton Foundation’s Shift Research Lab, formerly known as the Data Initiative, invites you to learn how to combine these elements and use open data to drive social change at the second annual Mile High Data Day, which is being held on Thursday, September 14 at the Arvada Center for the Arts and Humanities. Join the Denver metro region's data community as we share best practices and strengthen our region's data culture. 2017 Mile High Data Day will feature keynote speaker, Erica Raleigh, owner and Executive Director of Data Driven Detroit, idea showcases and interactive breakout sessions. Visit our website for more information, and registration will open in mid-August.